Sydney Shop Girl: The Weeknight Book Club: 'The Hypnotist's Love Story' by Liane Moriarty. The Weeknight Book Club: 'The Hypnotist's Love Story' by Liane Moriarty. Hurrah! I've finally finished a new novel. It's certainly been a while. 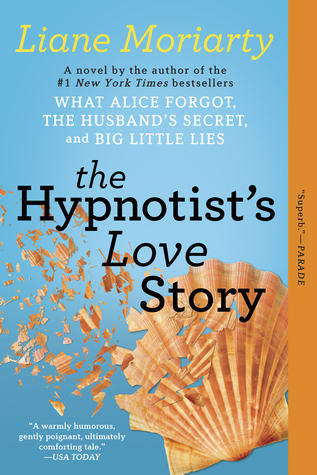 'The Hypnotist's Love Story' (link to the Kirkus review) is a Liane Moriarty novel from 2012. I'm a big fan of Liane's thoughtful and humorous writing. Her novels are often weave a handful of characters' lives together into plots that have this addictive mix of the issues of middle class Australian suburbia spiked with a bit of the unexpected. I love reading her word sketches of Sydney and I love the way she gives her characters such vivid internal dialogues and imaginations. 'The Hypnotist's Love Story' is the story of Ellen the thirty something hypnotist of the title. The novel begins with Ellen embarking on a new relationship with Patrick, an attractive widow with a young son. It's been a rocky road in the partner department for Ellen but she's cautiously hopeful about things with Patrick. They have an awkward date during which Patrick disappears to the bathroom for a bit only to return to their table with News. Not that he wants to end things but rather that he has an ex girlfriend named Saskia who's been stalking him for years. In fact her turning up to the restaurant was why he was away from the table for so long. Ellen is intrigued by this shock announcement and sees it as a challenge. After all, as a successful hypnotist, shouldn't she be able to change mindsets (her's, Patricks or perhaps even Saskia's?) in order to alter beliefs and behaviour? The novel alternates between Ellen and Saskia narratives. We begin to understand the reasons why Saskia feels the way she does about Patrick and his family. She was there for him after his wife died and helped him raise Jack in the early years. When the relationship ended, so did much of the direction and purpose of Saskia's life. Her coping mechanisms revolved around how she could still be a part of Patrick and Jack's lives. Meanwhile, Ellen is struggling to adjust to all the change in her life. She's suddenly found herself part of a ready made family of Patrick and Jack as well as being pregnant with Patrick's baby. Ellen's independent mother who raised her alone after becoming pregnant on purpose to an engaged man suddenly reconnects with this man after he divorces. Through all of this, Ellen has her work as a hypnotist with all its challenges and interesting clients. Ellen and Saskia meet and a kind of triangular 'relationship' is established among them with Saskia's intensified stalking of Patrick and now Ellen having a devastating outcome. 'The Hypnotist's Love Story' is an easy read that grew on me after the first few chapters. I wanted to know more about Saskia's past with Patrick and also how things would end for her now that Ellen was on the scene. I didn't find Patrick particularly fascinating or even remotely 'I'd put up with your stalker to still have you in my world' worthy so the whole love triangle with Ellen and Saskia component of the relationship wasn't a big deal for me. I did find Ellen's life as hypnotist fascinating reading and this was big part of the compulsive page turning for me. 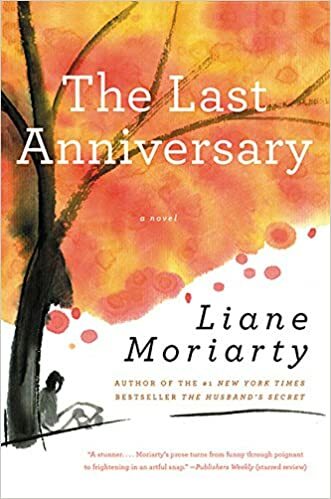 Sadly, I haven't had nearly as much joy with 'The Last Anniversary', one of Liane's earlier novels. It's moving incredibly slowly. It's taken me months to even get to the 37% read mark my Kindle tells me I've reached. If you've read it, should I persist? I consider reading as leisure therefore if I don't like a book I'm reading for leisure, I ditch it. You are right. Life is too short yet it also bites to be defeated by a novel. Giving it a few more pages before I decide what to do. I am quite new to Liane Moriarty, so far I've read What Alice Forgot and Truly, Madly, Guilty. I do enjoy her writing style and I think she paints characters really well, it's the small things she gets you on. I also love that her books are set in Sydney, it's good for when I'm missing the city! I'm keen to read more of her books so I'll put this on my list even though it sounds like maybe it's not her best. What is your favourite book of hers? 'The Husband's Secret' is my favourite so far, Rachel. I love Liane Moriarty, I've read all her books. I would say Big Little Lies is her best one, followed by What Alice Forgot. I also like Three Wishes, however I know other people don't seem to like that one much. I didn't particularly like the storylines of the Husband's Secret or Truly Madly Guilty though- the latter is incredibly slow at the beginning, however I did like how she wrote about the friendship between the two main characters. Thanks for the recommendations, Cat!